St. John’s is the capital and largest city of Newfoundland and Labrador, the easternmost Canadian Province. With a current metropolitan population of more than 215,000, it is one of North America's oldest European settlements and the oldest city in North America. St. John’s rich history and culture, distinct architecture, and proximity to the North Atlantic Ocean make it an important tourist destination. Frequent whale and iceberg sightings during spring, together with the breathtaking views of the ocean and rocky jagged coastline along the majestic East Coast Trail, are some of outdoorsmen’s most popular attractions. 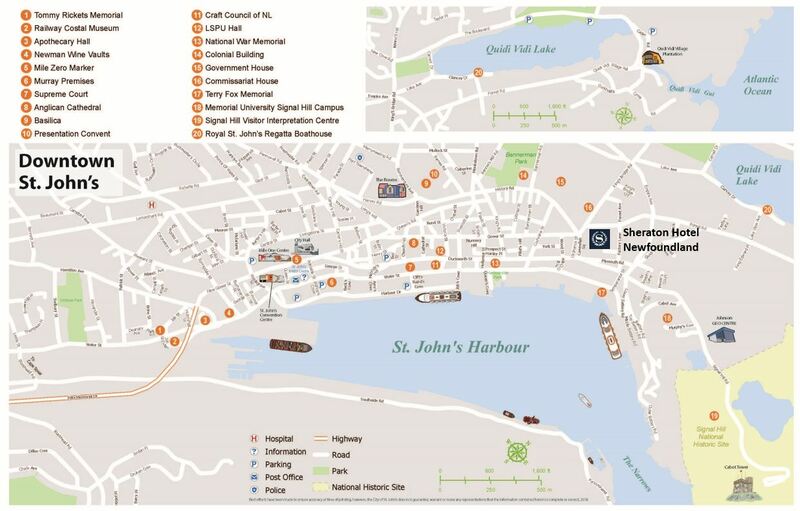 With its many bars and pubs (including the famous George Street) and some of the finest seafood and international cuisine restaurants, downtown St. John’s also has a lot to offer to the most avid nightlifers and gourmets. Interested in learning about the unique history and geology of the city and province? Museums, national historic sites, interpretation centres, and various exhibits scattered throughout the city will keep you busy. St. John’s is home to Memorial University of Newfoundland (MUN), Atlantic Canada’s largest university with four main campuses and over 18,000 students, 1,300 faculty, and 2,400 staff members. Over 40% of MUN’s research is ocean-related, with other recognized strengths in education, engineering, business, geology, and medicine to name a few. MUN is a proud sponsor of the Benthic Ecology Meeting 2019.